Maithripala Sirisena. Ranil Wickremesinghe. Mahinda Rajapaksa. Commissions and commissions. Interparty rivalries. Intraparty rivalries. Floods. Droughts. Cyclones. Donald Trump. Jerusalem. Russia. What will 2017 be most remembered for in Sri Lanka? Not too difficult to answer, but that’s only if you have your preferences towards what you deem to be more newsworthy than everything else. For me, hence, it was none of the above. Rather, the most newsworthy phenomenon that transpired this past year, to me, which made it into big column headlines just below the masthead and later congealed intermittently into the fourth or fifth page as a small news item, was the conflict between the public and private sphere. A broad category, yes, but in that category and conflict we see how the entirety of 2017, here, was spent. We are a resilient nation only because we tend to forget, as time passes by, the ills we suffered in the not-too-distant past. That conflict between the public and the private hence endures, in the form of not just strikes and demonstrations but also, more pertinently, the levelling and elevation of our consciousness of what entails the public and the private in the first place. The conflict between the two, this year, involved several issues, some pertinent, others not so: medical standards (SAITM), the sale of the Hambantota Port to China (the Petroleum Corporation) the granting of equitable pay rises (the Railway Department), the abolishment of what was alleged to be a fraudulent pay rise made to top level managers and engineers (the Electricity Board). In each case we had demonstrations that directly affected the public: no government doctors at government hospitals, no drivers operating our trains, no petrol for your car, and no technical staff for local power outages. As far as strikes go, borrowing an oft-quoted phrase, this was one heck of a year, for the people and for the strikers. 41 strikes with a loss of more than 104,000 man days (I am quoting Namini Wijedasa) may seem like a lot but that’s mainly owing to the fact that we haven’t come across a country and polity ailed with so many demonstrations and such a level of sustained trade union action. It’s interesting to note that this in itself is an indication of the way the government operates, since regardless of the many manifest faults within the public sector (the inefficiencies, the delays in getting work done, the disjuncture between rhetoric and action throughout the year, especially with respect to disaster management), it appears to have softened in the face of demonstrations. Again I quote Namini Wijedasa: from 2013 to 2014, right before Mahinda Rajapaksa was ousted, the number of man days (in the private sector) dropped by more than 53 percent. Let’s face it: all other things considered, trade union action is dependent on how the government of the day reacts to it. And 2017, in that sense, was the worst in a decade. One can lament. One can brighten up. I prefer to brighten up. Not because I haven’t been inconvenienced by these demonstrations, not because as a member of the public I don’t deplore the fact that others who were busier than me were inconvenienced in more insidious ways (think of the fuel strike, which lasted unbelievably for almost five days), but because in this spate of trade union protests we see a thawing of the ice, a veritable melting away of the veneer of complacency and public apathy that was maintained by the previous regime. The Electricity Board strike, which initially lasted for 48 hours (in April), then ballooned into the longest of its sort conducted here this year (a week in September) and almost ballooned into another, probably longer strike that would have crippled this festive season, was for me a good indication of that: it was all about doing away with allegedly unfair and illegal pay rises granted to top level engineers during the Mahinda Rajapaksa regime. That it took all this time for it to surface, for the workers to revolt against those rises, tells us all that we need to know about inexorable tensions in the public sector that are fermented, nurtured, and pushed up eventually despite the most complacent and authoritarian of governments. But this spate of trade unionism is in itself not a cause for complacency. Let’s not forget that union action is a direct, if not indirect, consequence of government apathy. Apathy is the product of complacency, and is generally understood to result in delays and inefficiencies and hostilities with respect to demonstrations and protests. Such delays, inefficiencies, and hostilities can in the long term be bottled up to such an extent that what ultimately comes out is a picket republic: a nation of protestors on the one hand and of those who wield the baton against those protestors on the other. This dichotomy, between the public and the private, is dangerous if sustained beyond a certain degree and period, particularly since unresolved pressures and conflicts tend to get pushed up, terribly, until all that’s left is a shattered, bruised polity. It’s that bruised polity which left more than 100,000 people dead and maimed in the eighties. So clearly, union action is a welcome first step to force the government, any government, to open its eyes, but there’s no use in that if the government still prefers to be blind to everything except certain vested interests from the private sphere. 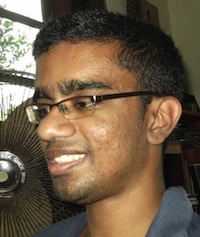 The identification of a certain movement with a certain individual is not the preserve of trade union or public sector action but this year proved, to a considerable extent, how the conflation of the movement with the individual could be made and sustained: Lahiru Weerasekara with the student protests against SAITM, the top board of the GMOA with the institutional protests against anomalies in the national health sector, and Ranjan Jayalal with the Electricity Board strike. Names matter and so do protestors, so I wonder: will these individuals take forward the unresolved issues, the unaddressed elephants in the room (the SAITM problem has not been solved to the complete satisfaction of the demonstrators, while the Electricity Board anomaly is still in the pipeline), to the next year, and if so, will be expect more power outages, more vacant government hospitals, more vacant University Medical Faculties? Perhaps. That, however, is not really cause for regret, or lament, rather cause for reflection. So what is there to reflect on with respect to all these vignette-like observations? 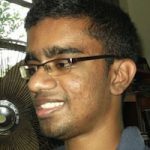 Simply, that in 2017 we saw the most newsworthy political phenomenon since the rise of dissent from within the SLFP in 2014 and 2015: the rise of dissent, pressured in and held back for so long, in fact for more than a decade, from the key representatives and institutions affiliated with our national public sphere. That’s important, and it ought to compel, not emotional hysterics, but careful scrutiny. Today and tomorrow. Vote for JVP if you want a clean Sri Lanka..
Ranil and M&s will destroy economy and let looters to rule over . They will never catch thieves.. If you want a really really clean SL, vote NSSP. How about the reception we accorded to Rohingyas the Lankan Navy captured in international waters (on behalf of Australia)? Or was that despicably memorable Uditha?